You may notice that your eyelids are making you look tired and aged. Often times wrinkles and bags around the eyes are the first sign of “maturing”. There are various ways to rejuvenate the eye area such as surgical or non-surgical treatment. Patients have noticed significant improvements in appearance, and they have felt more confident afterward. Sagging skin on the upper lids can be treated with an eyelift, also called blepharoplasty. This procedure involves making hidden incisions that excise extra skin from above the eye. Patients remark that the eyelids feel lighter and they are able to wear eyeshadow again. For bags under the eyes and wrinkling of the skin, a lower blepharoplasty is recommended. Various techniques are utilized. A transconjunctival blepharoplasty (TCB) is performed via the inside of the eyelid which hides the incision, a fat transposition blepharoplasty where the fat is maintained and placed into an area of hollowing below the fat and transcutaneous techniques that hide the incision below the lashes which tighten the skin, and smooth the area between the eyelid and cheek. Sometimes a less invasive option can be considered. Under eye treatments with Restylane, a hyaluronic acid filler, has become popular since 2005. The aesthetic trend is going towards minimally invasive treatments with a faster recovery. This hyaluronic acid substance is used to fill areas that have become hollow over time because of skin thinning, fat atrophy and other factors. The skin around the eyes may appear tighter and less creased. Additionally, Restylane can camouflage some under eyelid bags in certain patients. Filler mimics the hyaluronic acid that exists naturally in our joints, eyes and other areas in the body. Traditionally, hyaluronic acid fillers have been used in the nasolabial folds (smile lines) and lips. Restylane is FDA approved in these areas, but has not been officially studied in the eye area (considered off-label). Additionally, a benefit of using an hyaluronic acid filler is that it can be dissolved if needed. The longevity of treatment depends on how much muscle movement is in the facial area and the individual’s metabolism. One filling session can provide improved appearance for about six to twelve months. 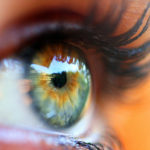 Whether you seek surgical or non-surgical treatment for signs of aging in your eye area, you can meet with a specialist who can speak with you to find out your areas of concern. She can examine you and assess your aesthetic needs and if you are a good candidate for various procedures. 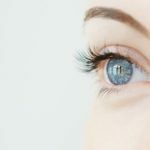 During this consultation, you will discuss the possible benefits of the different types of cosmetic eyelid and facial treatments available, as well as any risks and alternatives to treatment. Together you can find a plan that can help you achieve realistic aesthetic goals.